Zaorsky et al. conducted a meta-analysis of 12 randomized clinical trials covering data on 6,884 patients treated with external beam radiation at various dose levels. Their goal was to determine whether increasing the delivered biologically effective dose made a difference to 5- or 10-year metastasis-free, prostate cancer-specific, and/or overall survival. 10-year freedom from biochemical failure improved by 9.6 percent in low-risk men. 10-year freedom from biochemical failure improved by 7.2 percent in intermediate-risk men. 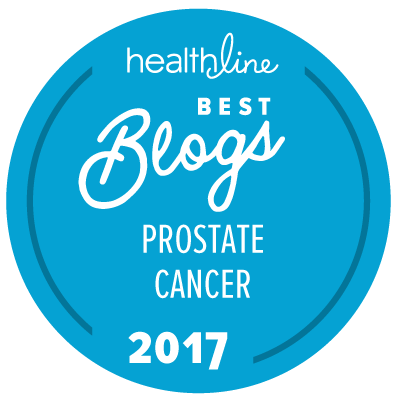 There was no corresponding improvement in metastasis-free, prostate cancer-specific, or overall survival out to 10 years. Dose escalation was not correlated with increases in acute toxicities. Late-term gastrointestinal toxicities increased in patients treated with three-dimensional conformal radiation therapy (3D-CRT). Late-term toxicities were lower among patients treated with intensity-modulated radiation therapy (IMRT) despite higher dose levels. The abstract makes no mention of dose-escalated radiation treatment of high-risk men. We discussed some conflicting survival data on higher risk patients in a previous commentary. As we saw then, even at the higher risk levels, 10 years follow-up was not long enough to detect difference in survival due to dose escalation. In our opinion, this is an unwarranted conclusion based on the data presented in the abstract. We discussed the issue of surrogate endpoints (like freedom from biochemical failure) and length of followup in another previous commentary. For a newly diagnosed, intermediate-risk man, the time frame for development of distant metastases could easily be upwards of 10 years, and a lot longer for low-risk men. The only valid conclusion one can draw from the analysis by Zaorsky et al. is that 10 years is too short a time frame to detect any effect of dose escalation on metastasis-free, prostate cancer-specific, and/or overall survival in these risk groups. Their analysis makes the argument for using surrogate endpoints, rather than against them. Given the long natural history of prostate cancer progression in these risk groups, how else can we gauge the impact of dose escalation within a practical follow-up timeframe? The other interesting conclusion is that dose escalation, when delivered with IMRT technology, had no impact on acute or late-term toxicities. This argues for IMRT-delivered dose escalation: since it did not increase toxicity risk, and may increase long-term cancer control, there is no reason not to use it. This holds true even among low-risk men who, for whatever reason, have elected not to engage in active surveillance. It also holds true for men with fewer than 10 years of life expectancy who, for whatever reason, have elected not to engage in watchful waiting.